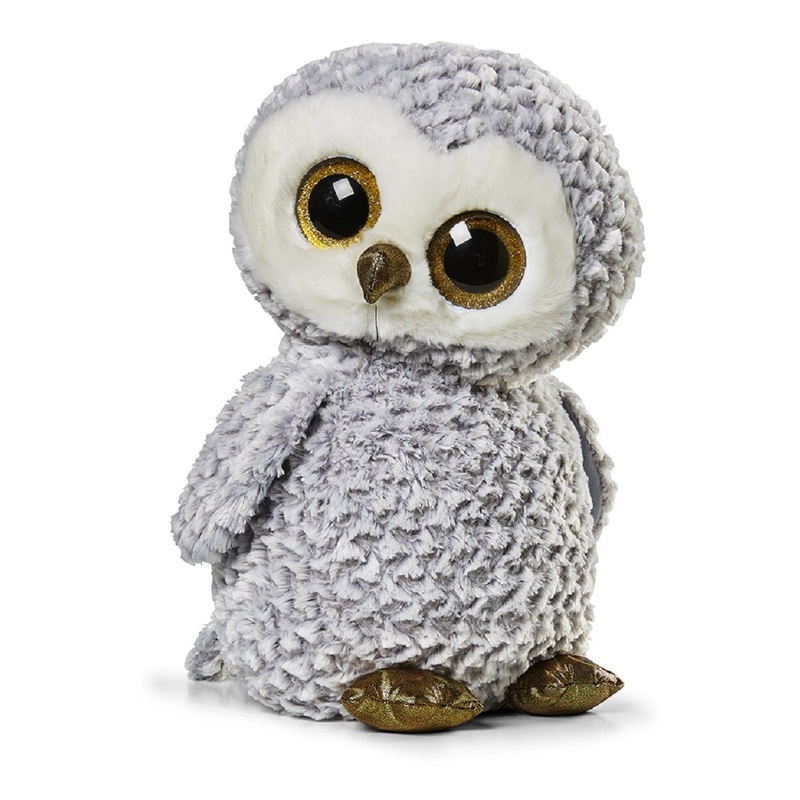 Owlette is a light grey owl with a fuzzy, feather-like texture on her body. She has large, glittery gold button eyes and a sparkly gold beak. He face is white and fluffy and she has sparkly gold feet. But when you hug me, hold me tight. Owlette was released on 1st July 2016. Her Birthday is on 20th April. There are four versions of Owlette. This large 16″ version, a small 6″ Beanie Boo, a medium 9″ Beanie Boo Buddy and a key clip.